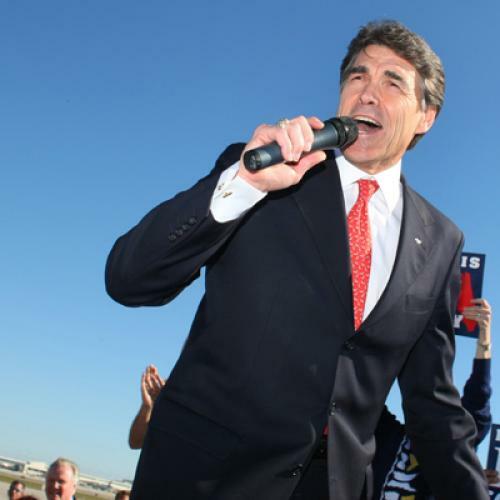 When Rick Perry lays down his head on Saturday night, he’s going to be one tired Texan. By then, the consensus GOP front-runner will have endured a 48-hour gauntlet of events in Orlando, Florida, including a televised presidential candidates’ debate, an ideological beauty contest sponsored by the American Conservative Union, and a state party straw poll. Moreover, all this is occurring in a state that will hold a crucially timed 2012 primary, is considered a must-win for Republicans in the general election, and has demographic characteristics that could pose a real challenge to Perry. Indeed, while the Texan is currently leading in the most recent Florida polls, he’s got a number of potential weaknesses in the state that he must successfully address if he hopes to win one of the most important contests in a competitive nomination battle. Whether Perry gets through this week’s ordeal in good or bad shape, it’s something he has to do given Florida’s potentially crucial role in 2012. After a number of feints in the direction of total primary calendar-screwing anarchy, Florida Republicans seem happy to maintain their state’s fifth-place position in the nominating process, just after South Carolina. (A bipartisan but Republican-dominated commission set up by the state legislature is poised to make a decision just in time to comply with the RNC’s October 1 deadline for setting the calendar, with February 21 being the state’s most likely date.) With Romney currently favored in Nevada and New Hampshire and Perry in Iowa and South Carolina, this means Florida could again become—as it was in 2008, when McCain’s victory over Mitt Romney in the state all but sealed the deal—the truly decisive contest. As for the general election stakes, it’s worth remembering that the last Republican who won the White House while losing Florida (with the usual double asterisk for 2000) was Calvin Coolidge in 1924, when the Sunshine State was part of the Solid South and cast six electoral votes, a bounty Coolidge offset by carrying Maine. In 2012, Florida will award 29 electoral votes, the same as New York. The “electability” argument among Republicans is a lot more intense, and less theoretical, in the Sunshine State than in most early primary states. When it comes to determining which GOP candidate holds a natural advantage in the state, Florida’s unusual demographics make it a mixed bag. North Florida, and particularly the Panhandle with its “Redneck Riviera” and military bases, is culturally Southern, and a natural base for Perry. Central Florida, especially the vote-rich “I-4 corridor” running from Orlando to the Tampa Bay area, meanwhile, might give Romney an edge. There you can find a comfortable mix of Midwestern retirees, young suburban families, and Democratic-leaning non-Cuban Hispanics. South Florida, finally, is famously diverse: Its Cuban-American population is likely the largest Republican-leaning Hispanic voting bloc in the country; it has growing South American, Central American, and Haitian populations; and it also retains a large number of politically active white retirees, mostly from the Northeast. Like Republican primary voters almost everywhere, however, Florida’s are leaning in a notably conservative direction. This came across loud and clear in 2010, when self-styled Tea Partier-moneybags Rick Scott beat establishment fixture Bill McCollum in the gubernatorial primary, and centrist Governor Charlie Crist was run right out of the GOP by now-Senator Marco Rubio. This shift bodes well for Perry, who has recently moved ahead of Romney in primary polling of Florida Republicans and enjoys support from several key legislative leaders, as well as thinly veiled backing from Governor Scott. But a recent survey of “Republican insiders” in the state by the St. Petersburg Times showed a plurality expecting Romney to win the primary, and an overwhelming two-thirds rating him as a stronger general-election candidate than anyone else in the field. Moreover, even polls showing Perry doing well among Florida Republicans raise questions about his possible glass jaw on Social Security and Medicare, which in turn affects perceptions of his general-election viability in the state. The Insider Advantage survey released last week that put Perry ahead of Romney by a 29-20 margin among likely primary voters also showed Romney leading the Texan handily among seniors, who represented about a third of respondents but could end up turning out in larger numbers in the primary. Thursday’s debate will provide Romney with yet another opportunity to expose Perry’s weakness among this demographic. Mitt (with possible assists from other candidates, especially the increasingly desperate Michele Bachmann) will have an ideal opportunity to fan fears about Perry’s dangerous rhetoric on the New Deal and Great Society entitlement programs on which Florida seniors—a big chunk of both primary and general election voters—heavily depend. The direction of Florida’s Republican Hispanic vote in 2012, meanwhile, is hard to predict. You’d think Perry’s experience with Hispanic voters in Texas, and his relatively moderate positions on immigration, would help him in the state. But Cuban-Americans (who made up nearly two-thirds of Hispanic voters in the 2008 Florida presidential primary) are not notably sympathetic to undocumented immigrants from Mexico, while Puerto Ricans, who represent the second-largest Hispanic bloc in the state, are U.S. citizens by birth. Instead, Cuban-Americans are especially focused on national security, which probably had more to do with McCain’s strong performance among them in the 2008 primary than anything he said on immigration. It wouldn’t be surprising to see Romney challenge Perry from the right on national security in Florida this very week. Indeed, Friday’s gathering of conservative tribes, a Florida version of the Conservative Political Action Conference (CPAC) in Washington, which pretty much kicked off the invisible primary of pre-voting events, could prove a perfect venue for further attacks against Perry from the right. This will be the occasion for fiery rhetoric and the taking of pledges, and likely efforts by candidates other than Perry and Romney to accuse the front-runners of insufficient fidelity to the cause. Finally, the Saturday Florida GOP straw poll (portentously called “P5” by the state party to indicate the number of times it has been held) lost most of its drama when both Romney and Bachmann announced they would not contest it. It’s also not the kind of straw poll that Ron Paul can win by packing the room with college students; participants were selected by local party committees around the state during the spring and summer. So Perry is expected to win easily, and has everything to lose from a poorer-than-expected performance against minor candidates and the two rivals who won’t even be there. All in all, in other words, Florida is up for grabs. You can expect to hear buzz about possible endorsements that could change the playing field, particularly by former Governor Jeb Bush, whose clan by all accounts is not fond of Rick Perry, and by Senator Marco Rubio, who, as a likely vice-presidential choice of any nominee, has no obvious interest in endorsing anybody. But for now, this week’s extended audition in Florida could have a significant impact, particularly if someone stumbles in the Fox-Google debate, gets crucified for an act of ideological heresy at CPAC, or underperforms at “P5.” If that someone is Rick Perry, his rise as the suddenly dominant front-runner in the nomination contest could be rudely interrupted.